On Christmas Day I began to feel it creeping in on me though I hoped it was only due to lack of sufficient sleep, seeing as how a certain nine year old was still not asleep at half past midnight on Christmas Eve. But no, I slept until eleven (yes ELEVEN) the next day and finally awoke with a head full of yuck. And that has pretty much been my entire week. I have not left the house since Christmas Day, occasionally changing out my pajamas for sweat pants and doing nothing much more than reading, eating candy out of stockings and popping sinus and cold pills. Though I did finally emerge from my funk yesterday afternoon and make sweet potato bread to send with Dracen on his hunting trip. His big brother, who has done little aside from sleep and play XBox for the past ten days decided he'd stay home since they "never see a big buck anyway". Listen. I'm not even a fan of hunting but hanging back to play XBox after making a statement like that has me rooting for the hunters (Dracen, Popaw and Uncle K) this time. We barely had winter at all last year. This photo was taken at the end of January. It was 70 something degrees warm. This one grows alongside the driveway. I never thought I could have too much chocolate. I was wrong. And he even smiled for a photo. Please don't judge the appearance of my cake. The important thing is, it tasted good. A Canoe Trip with Grumpy and Grumpier. I'm raising Walter Matthau and Jack Lemmon. Obviously. Taking the boys to see my hometown. And their first pro baseball game so close to perfect I couldn't have special ordered it any better. This Japanese Maple grows in my shade garden in the backyard. The excitement, joy and gratitude Dracen showed when he asked me to help him turn his desk into a concession stand with the popcorn popper, snowcone machine, and cotton candy maker Santa came through on. He showed no disappointment in the fact that he did not get the Samurai sword ("sharp on both sides") the throwing knives or the exploding bullets. And when he thanked me and uttered the words, "This was the best Christmas ever!" my year was made. Not a Dachshund nor Beagle would sit, heel or stay. But those three stubborn canines said, Oh HECK No! "Defeat is not an option" I explained to the elf. Then I sent him to the fridge for a treat from the shelf. And I whistled, and shouted, and called them by name! "Now Li'l Bit! Now Big Boy! Now Lucky! Sit there! And a morsel of the cheese will be yours; this I swear! Bring your bells and your hats and your candy cane too! Then look into my lens and this mess will be through!" Disregarding their hats; they weren't aiming to please! "No costumes-No cheese!" is what I heard myself holler. Then that quick-thinking elf stuck that cane in Big Un's collar! You know it's not those eight tiny reindeer flying by. I just could not allow them to have you misled. A Christmas filled with cheese and much tail waggin' fun! Looking back, I can't recall a single year in which I did not look forward, with great anticipation, to the Christmas Season. Of course when I was a child much of that excitement had to do with what I hoped Santa would be leaving under the tree for me each year. But even back then I recognized that Christmastime was about something so much bigger than me and my wishes. Even up into my adult years, when it became more about the giving than receiving (which truly is more rewarding), it still brought that same beautiful magic with it and left me counting down the days until the warm gatherings and celebrations with all the ones I loved the most in the world. And once I became a mother? That magic was only magnified tenfold. Then the unthinkable happened and the world as I had known it crumbled into a million shattered pieces, taking my heart down with it. And all right smack dab in the middle of the most wonderful time of the year. How would I ever be the same again? And how would I ever even manage to get through, much less love, the Christmas Season ever again? But you know what? I did. I do. I still love it. 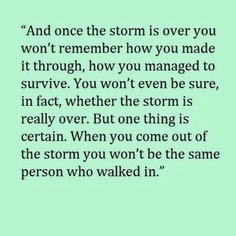 In spite of it all. That first year was the hardest (as all the firsts are) but I decided I had to embrace it head on, for my boys, if nothing else. And an amazing thing happened...The magic showed up anyway. Maybe not the same as it had always been but it SHOWED UP. That was nine years ago and I still love Christmas. way which you always used. Remember me? I know it's been a long time and you're probably thinking I've got a lot of nerve showing up out of the blue like this, after all these years, and right here in the middle of December when you're no doubt busier than a one armed paper hanger. I know you've got reindeer to wrangle, lists to double check, and a whole army of creepy little elves to supervise so I'll do my best to keep this brief. I realize I never sent a single thank you letter to you for fulfilling all those wish lists I made when I was growing up. You really don't get the thanks or appreciation you deserve and I'm sorry for that... Sorry that I never took the time to drop you a line of thanks and praise. So I'm saying it now...THANK YOU, sincerely and from the bottom of my heart. 1. The parenting manual I never received. Now I'm not talking about any of those parenting books written by the "experts", the ones I can buy with a click of a mouse or a swipe of a credit card. No sir. I'm referring to the one that should have popped out of the womb with that first "strong-willed" child thirteen years ago. You know the one I mean, right? The one written by the good Lord himself? Yeah, that one. 2. A better memory. Because I'm way too young to be losing mine. I know I'm not exactly a spring chicken anymore but it can't be normal, at forty-one, to keep forgetting why I walked into a room or to constantly be forgetting where I put my keys, my phone, or my pocketbook. Just yesterday I was searching frantically for my iPhone before I left the house and do you know where it was the whole time, Mr. Claus? Do you? IN MY HAND, that's where! 3. Patience. The big bottle. The one you'll probably have to drop by Costco or Sam's Club to get. Seriously. Have you ever tried to reason with a thirteen year old boy or to prevent two brothers from trying to kill each other on a daily basis, Nick? Well, I have. And trust me when I tell you I need the BIG BOTTLE. 4. Just one day a week where everybody does what I ask them to do THE FIRST TIME. I truly believe that just ONE measly day a week without fighting rebellion would add years to my life! 5. Noise-cancelling headphones. I know I said I wasn't going to ask for anything expensive and these babies aren't exactly what you'd call cheap but if you happen to have an extra pair lying around your pad up there at the North Pole could you, pretty please with sugar and a cherry on top, leave them in my stocking? I'll love you forever. So that's it. I understand that it may be too tall an order and I want you to know that I will still respect you in the morning if you can't pull all these things out of that magical bag of goodies you lug around on your shoulders. Because I am just wise enough to know how important it is to try my very best to revel in the journey...chaos, dysfunction and all. We only get one shot at this thing, right? Please take care of you, Saint Nicholas Claus and give my love to Mrs. Claus, and Rudolph too. You know I've always had a soft spot for that little red nosed reindeer. Oh, and just one more thing. If you can't bring me any of the five things on this list, just fill my stocking with chocolate and coffee and call me grateful. This post inspired by the pretty much world famous writer's workshop at Mama's Losin' It.